Hello everyone! If you've been following my Instagram, you'd have noticed I received this fabulous dress from Elaine over at The Lady General a few weeks ago. For the benefit of any international readers, The Lady General specialises in 'fine modern cheongsams', or qipao, which are known for their body-skimming fit and high mandarin collars. They're a staple piece usually donned for the Chinese New Year celebrations and are so retro/vintage, since they were made famous in the 1920s. The Lady General, though, reinvents the classic design with a modern twist, and I totally applaud them for it! 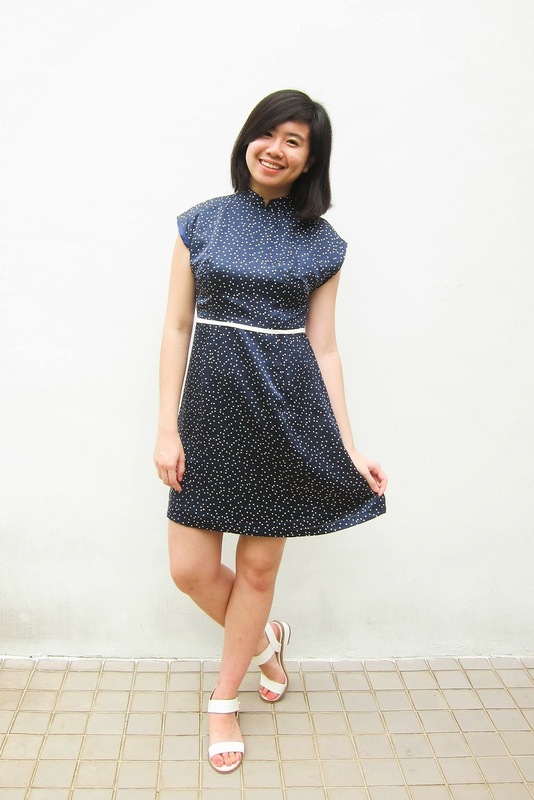 Cheongsams are not the most flattering of dresses with their bodycon fit, and can be uncomfortable with their high necks. 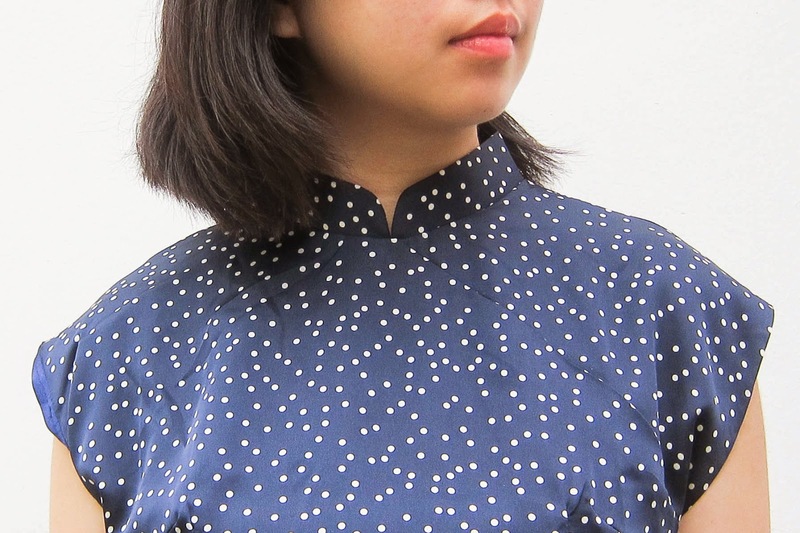 The piece I'm wearing, Ling (now on sale! 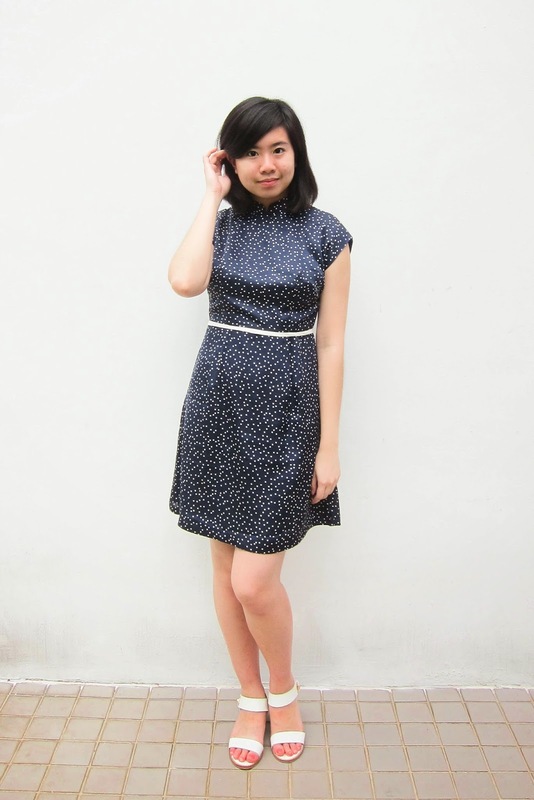 ), retains the mandarin collar but incorporates a skater-style skirt, which I personally found really comfy. The ivory band accentuates the waist, while the polka dot print pays homage to sixties fashion while remaining totally relevant in 2014. It's a great addition to my wardrobe, being both professional but pretty. I wore this piece to work the other day, and it fit beautifully in a workplace despite making such a statement. (I actually received a few compliments!) The dress is also satin-lined, so it's smooth and cool on the skin (need it in this Singapore weather!). I've been eyeing their other dresses (I love Qing, which is crepe-lined) and have been fortunate enough to view a few pieces from the next collection - there are a few beauties there! I would genuinely recommend The Lady General to anyone looking for that special retro piece versatile enough to wear to work, dinner or even a normal day out. 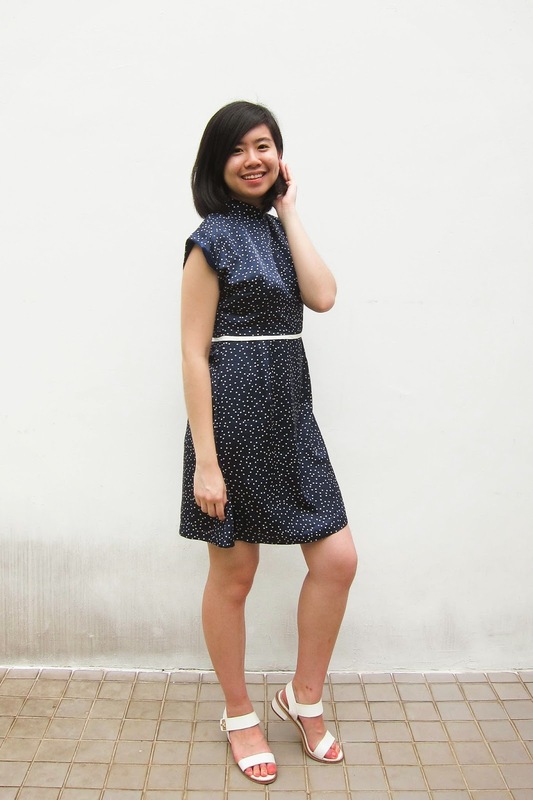 The price may be a little on the steep side when viewed in SGD, but ladies often shell out a lot more for regular, off-the-rack dresses from high street brands. The quality also speaks for itself - you truly are getting your money's worth for a wonderful, lasting piece. 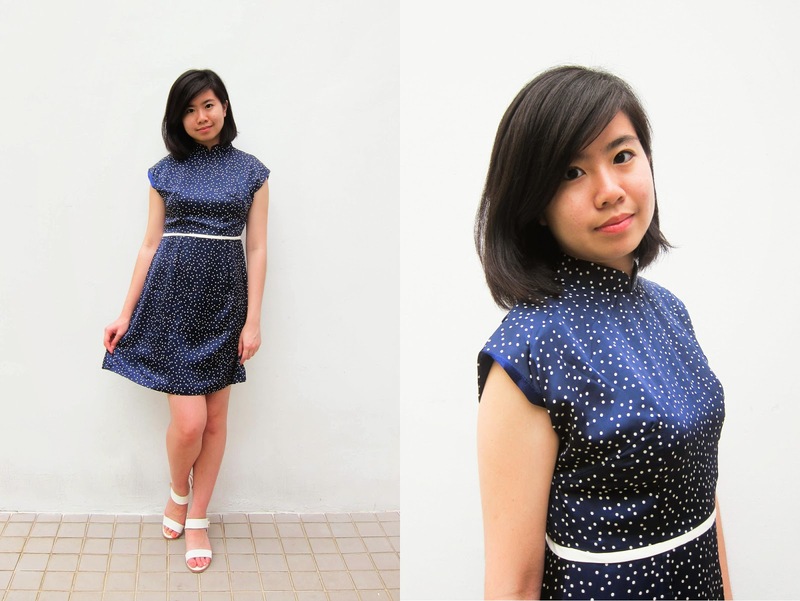 What do you think of The Lady General and their take on the cheongsam? Do comment below to let me know! Aw you're too sweet :) Thanks for the lovely comment! That dress looks lovely on you, I love the collar and the print!